Similar teams = probable draw. *Referee: Andreas Pappas. Games 3-1-1 / 9 goals / 2 penalties / 25 yellow cards / 0 red cards / 0 players sent off. 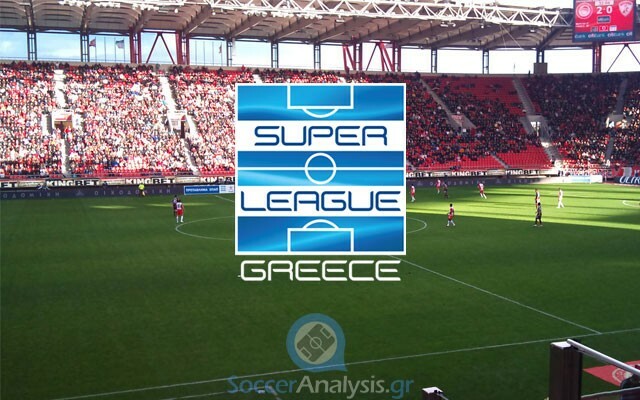 Panionios lost the first match of 2016 in Super League but their defeat against a superior club like Olympiacos (1-3) was more or less expected. Unlike most teams, they resisted, they conceded the first goal at 56’ and answered at 63’ (1-1). Olympiacos added pressure and got what they were after with two more goals at 73’ (bar by Fortounis, Pardo scored on the rebound) and 80’ (Ideye). The players of Ouzounidis did only what was necessary in their midweek away match against Ergotelis (0-1) for the Greek Cup that followed. Their statements after the final whistle tell me they had no intensions to humiliate a club that has almost bankrupted by scoring more goals. Their many chances during the first half showed they could. Iraklis started 2016 with two wins and the morale of the team is superb. The first was against Kalloni (3-0) and I have already said the score does not depict the difficulties they had. They happened to have Vellios (hat trick, 15’, 43’ penalty kick and 70’) on a great day but Kalloni kept trying to get back in the match until they conceded the third goal. This explains the strange statistic of total attempts; 6-13 whether you believe it or not. Iraklis also had a midweek away match for the Greek Cup against Veria (0-1) but this time their win was more difficult. Veria was in control for most of the game and lost a good number of chances to take the lead. The most important one was at 63’ when Nazlidis’ penalty kick was saved by Huanderson. Ten minutes later, Bartolini (73’) punished the home team with a fantastic header that could not possibly be saved by any goalkeeper in the world. Other: Hanti (MID/7) is expected to leave the team soon. Both teams got what they wanted in the Cup and they have the luxury of trying a bit more today as they will have the advantage in their scheduled midweek re-matches. Panionios is reliable at home (4W-2D-2L, goals 10-7) but DO NOT underestimate Iraklis (2W-3D-3L, goals 6-12 away). Many insist the home team must win as they have not got any points in their last two matches in Super League. Have you seen the recent stats of Iraklis? In their last 9 matches in all competitions they have 6W-2D-1L!!! Following their defeat from Olympiacos (2-0, good performance) on 08/11/15 they only lost the away match against Panetolikos (2-0). Panathinaikos (1-0) and Asteras (1-2 away) were among these wins. If the odds on Iraklis were above 4.50 I could risk on their win. The bookies are well prepared for this match and the odds do not have any value no matter who we pick. This is exactly why I chose the draw which happens to be probable as well. Considering the overall performances of the two teams the halftime/fulltime bets Panionios/Draw @ 15.00 and Iraklis/Draw @ 15.00 can be an excellent way to increase our winning to 7.50 (as long as the halftime is not a draw).